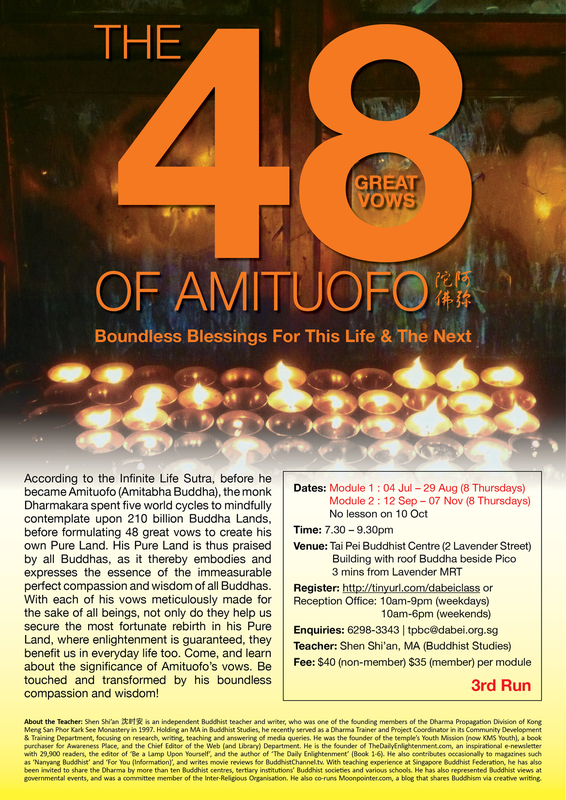 I would like to register for this ’48 Vows’ and ‘Understanding Amituofo’ courses. Please advice on how I can register for the 1st time. I will go online and fill in the form. Thanks so much and looking forward to attend your class.